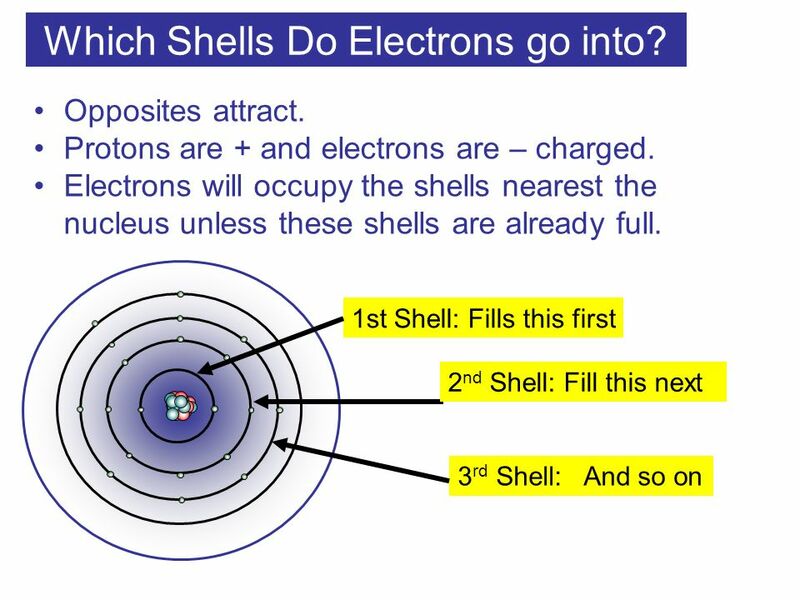 1 How Are Electrons Arranged? 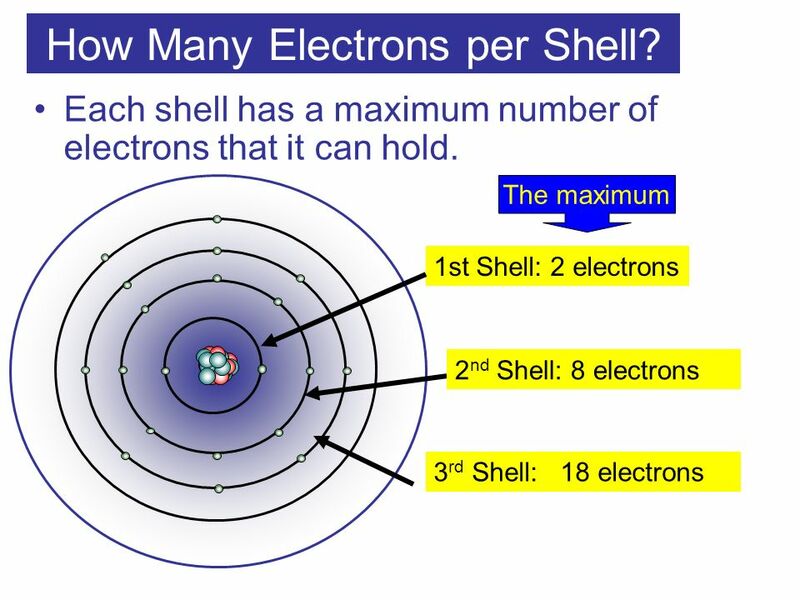 2 How Many Electrons per Shell? 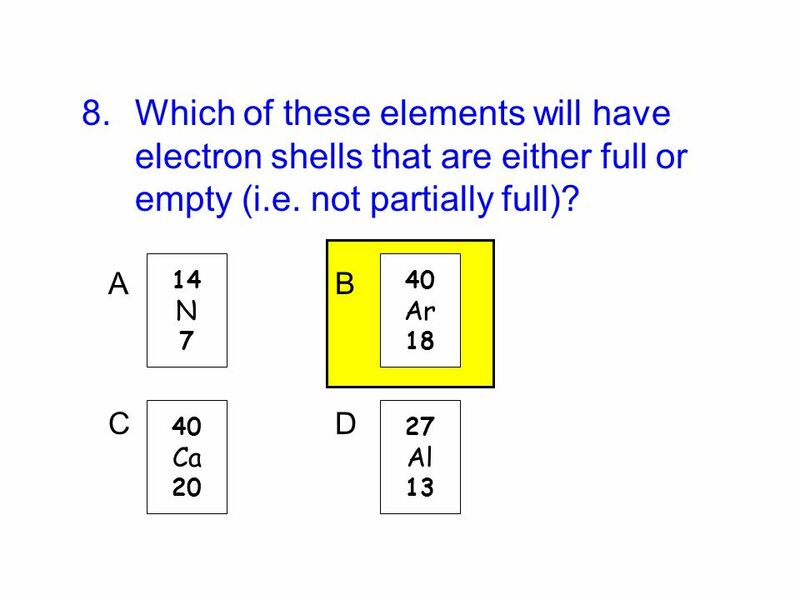 3 Which Shells Do Electrons go into? 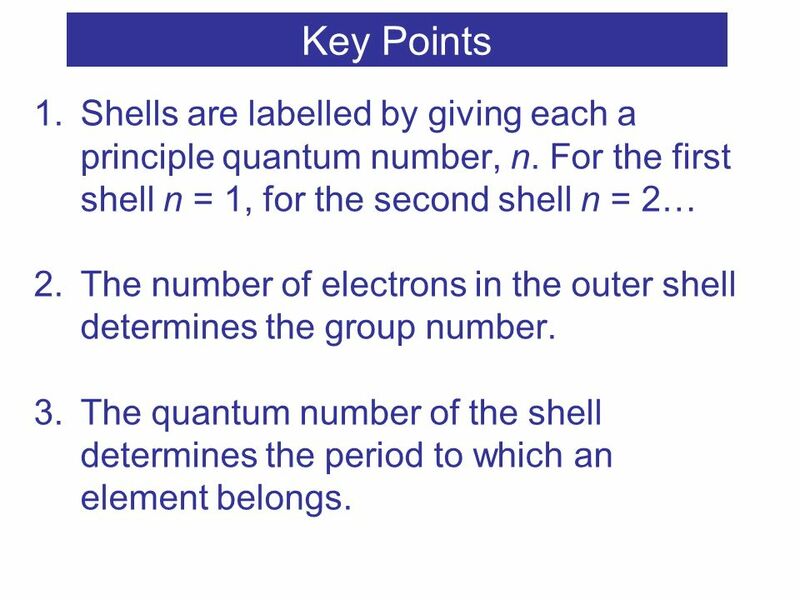 6 Key Points Shells are labelled by giving each a principle quantum number, n. For the first shell n = 1, for the second shell n = 2… The number of electrons in the outer shell determines the group number. The quantum number of the shell determines the period to which an element belongs. 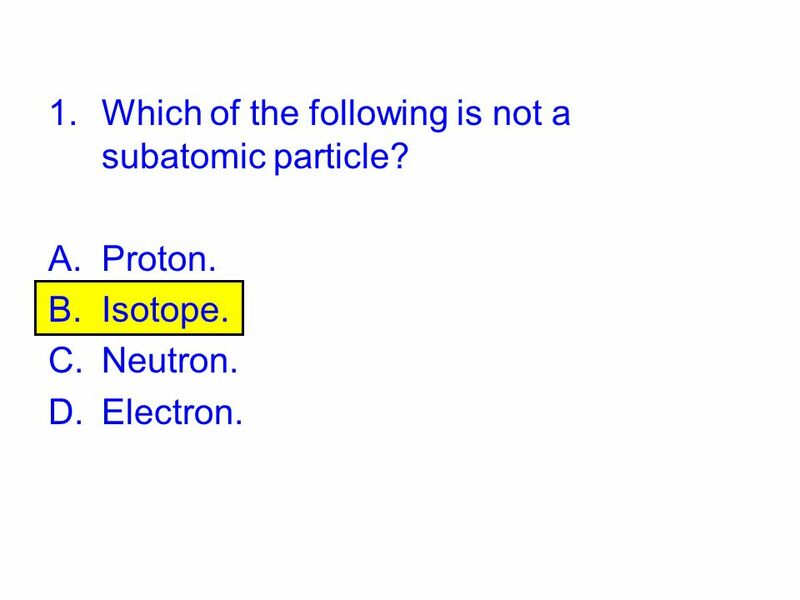 7 Which of the following is not a subatomic particle? 8 The element Cobalt has a relative atomic mass of 59 and an atomic number of 27. 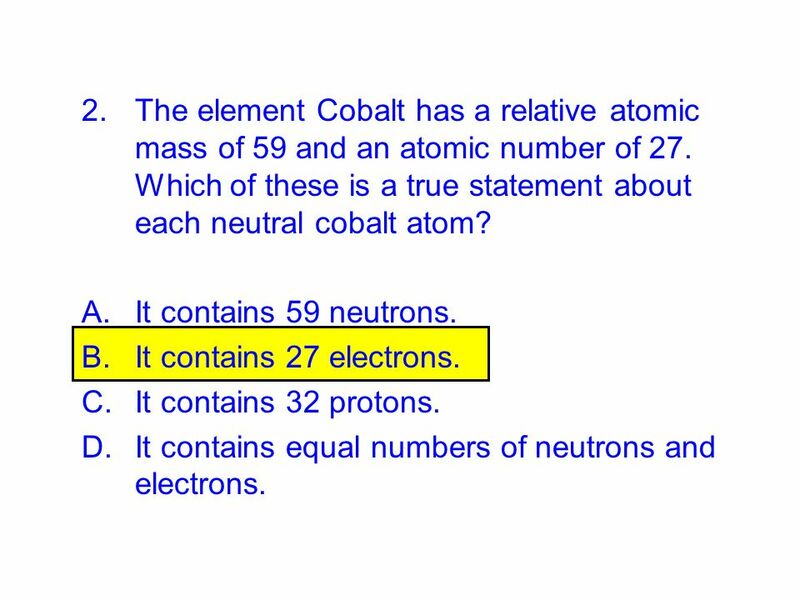 Which of these is a true statement about each neutral cobalt atom? It contains 59 neutrons. It contains 27 electrons. It contains 32 protons. It contains equal numbers of neutrons and electrons. 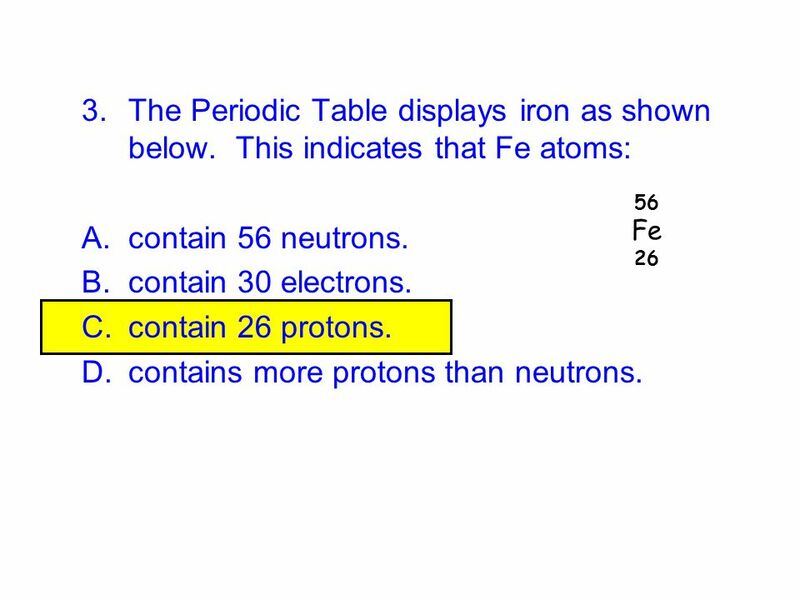 9 contains more protons than neutrons. 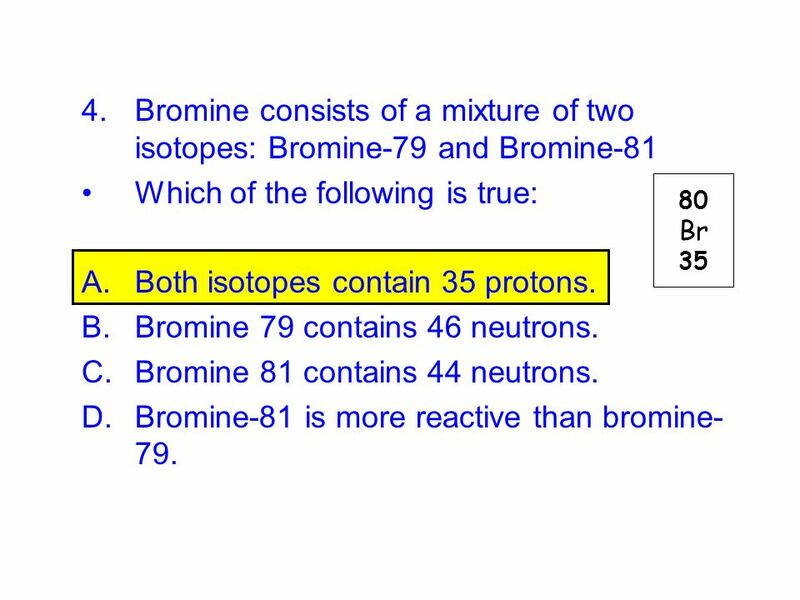 10 Which of the following is true: Both isotopes contain 35 protons. 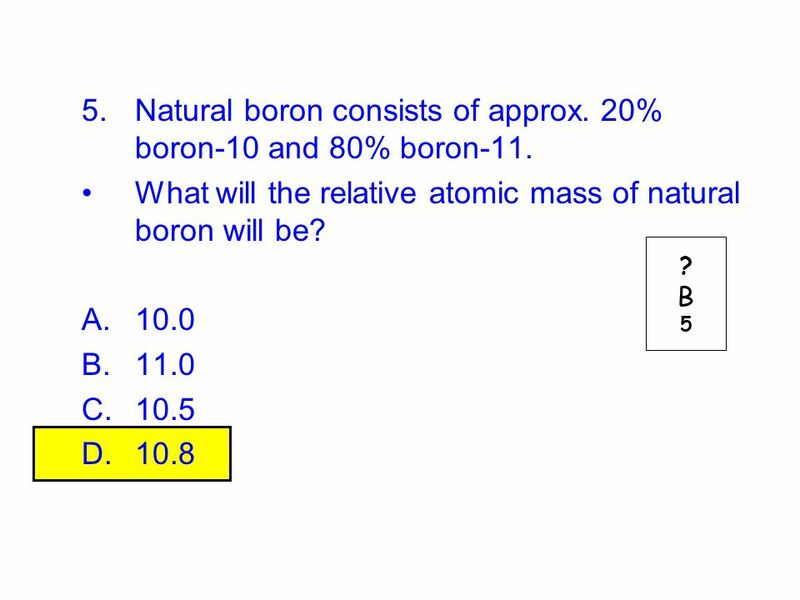 11 Natural boron consists of approx. 20% boron-10 and 80% boron-11. 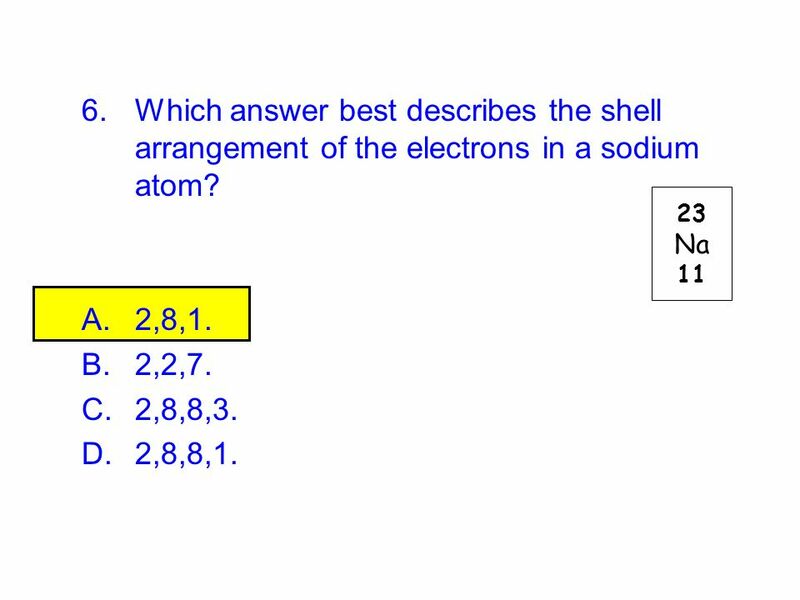 12 Which answer best describes the shell arrangement of the electrons in a sodium atom? 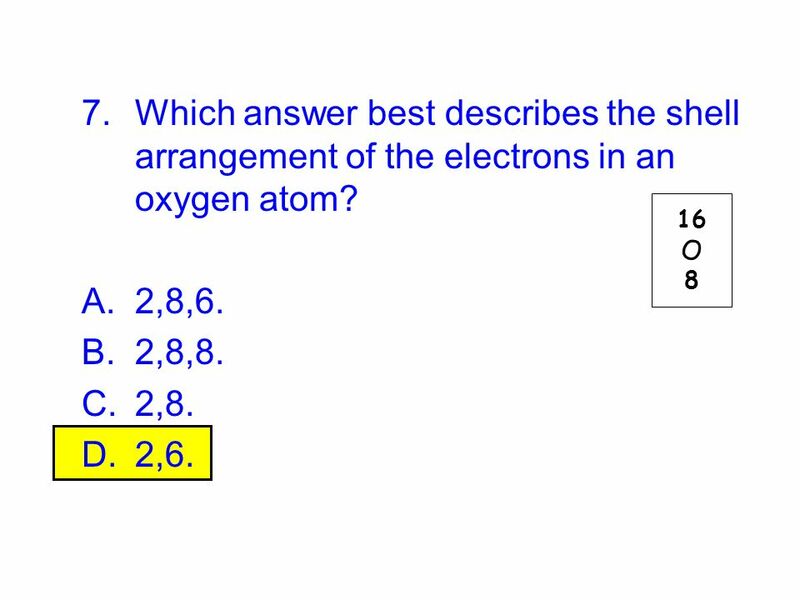 13 Which answer best describes the shell arrangement of the electrons in an oxygen atom? 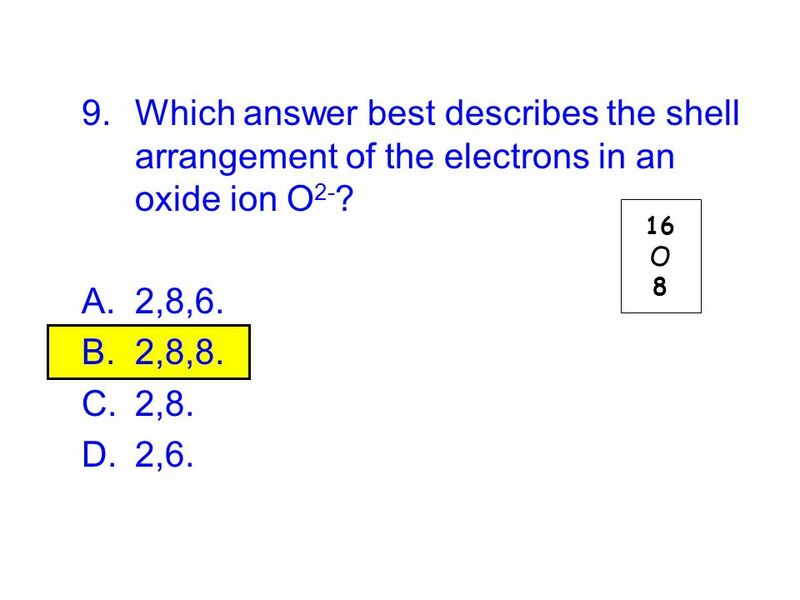 15 Which answer best describes the shell arrangement of the electrons in an oxide ion O2-? 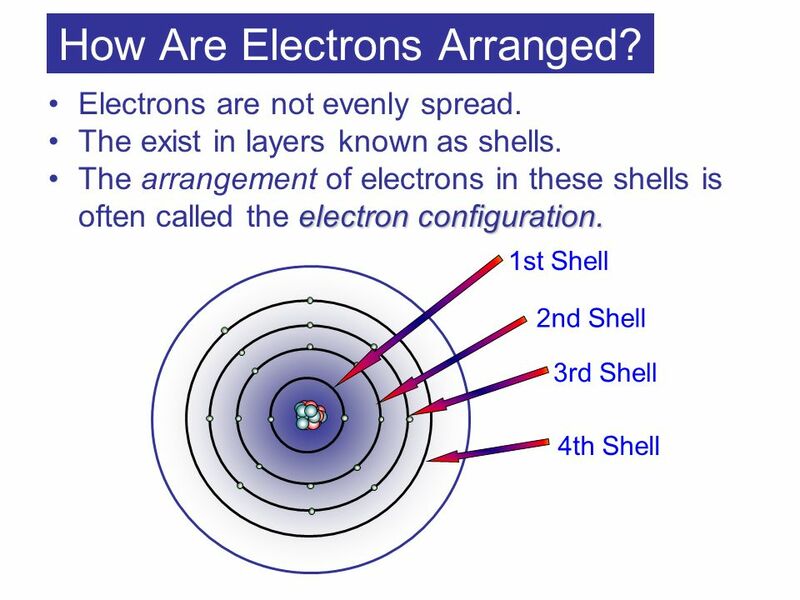 Download ppt "How Are Electrons Arranged?" Chapter 5 Atomic Structure. What are atoms made of? Atoms are made of small particles called protons, electrons, neutrons. Atoms are made of small particles. The Why and How of Ions Featuring the Return of Bohr-Rutherford Diagrams and the Periodic Table. 1. Name the particles in the atom and give the charges associated with each. Ch 7 Notes. Atoms ‘building blocks’ Element ‘one kind of atom’ Compounds ‘different kinds of atoms’ Shown w/ Symbols Shown w/ Formulas Molecule two or. Atom Scientist have accepted that the smallest parts of substances are called atoms. 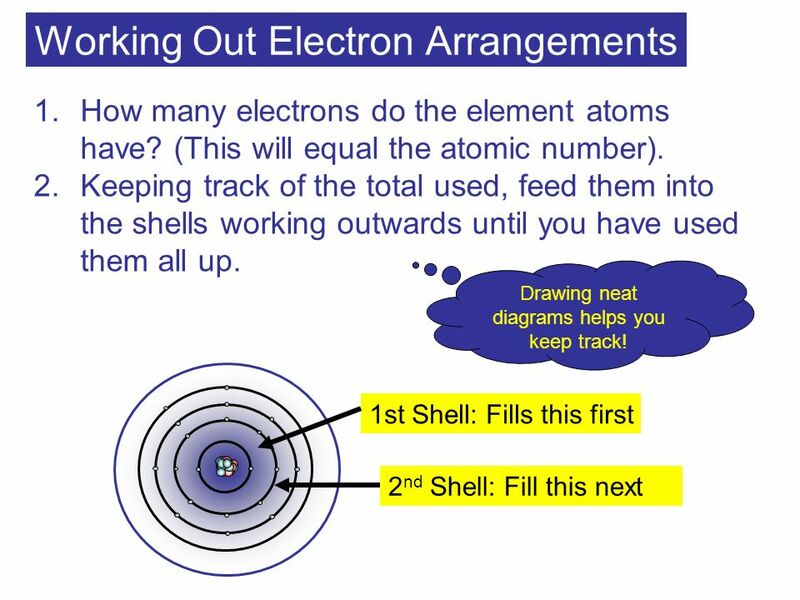 Atom has basically two parts, nucleus and electrons. Nucleus is located. The Periodic table. 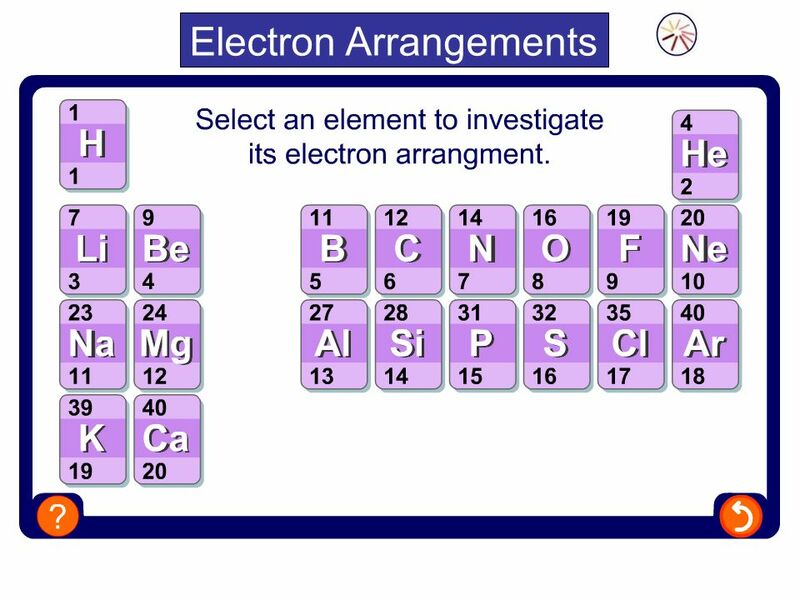 Periodic Table Elements are classified by their weight and how they react. Atomic Structure. Atoms are made out of: Protons Neutrons & Electrons These are known as subatomic particles. Structure and bonding Title Atomic structure Aim to draw and label the sub atomic particles of an atom. Subatomic Particles and Isotopes. Subatomic Particles Protons- Positively Charged Protons- Positively Charged Located in the nucleus Located in the nucleus. Atoms Physical Science BHHS 2010/Melmore. Electron cloud Nucleus consisting of protons and neutrons.